Cancer is a horrible thing. It takes away the people closest to you. I have lost my uncle and my dad to cancer and I can tell you that it doesn't get any easier. I myself have gone through it twice now and I am just waiting for it to come back. Through everything, I have always needed positive thoughts. I never believed that there were other things that you could do besides harsh drugs, chemo and radiation. 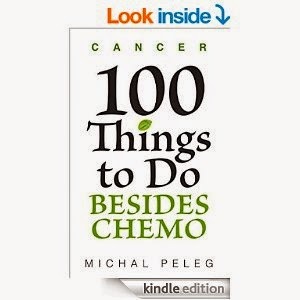 Cancer- 100 Things to Do Besides Chemo, dives into alternate things to do. This not a book with homeopathic medicines or other medical alternatives. This is more a self help book. It has ideas in it like cut out the stress in your life, surround yourself with people who love you, check your anger at the door etc. To me this book is something you read in your later stages of cancer when you are close to dying. I really think that this book has some good ideas for people who are down. I think it would also help the caregivers and the friends and family of those with cancer. It is really hard to stay positive in times like these. This book might be a help even after cancer has taken your loved one. Maybe not at first because you would still be upset about the diagnosis. I know that I was mad at cancer, the doctors and God when I found out that my father had cancer. It would have taken me a long time to be able to read and accept what this book was trying to tell me. This book is really well thought out and I enjoyed it. I will for sure read it when my cancer returns and help brighten my day. If you or someone you love is going through cancer and you want to check out this book and bring some positive thoughts into your life, then check it out on Amazon right here. There is nothing worse then coming home from the store after buying beer, and not being able to drink them because you have to put them in the fridge or freezer. Seems like they take forever to get cold that way. I know when I am ready for a beer, I want it when I want it and not a second later. Now you can have your beer whenever you want it, and it will be cold. All you have to do is head over to Amazon and order yourself some Cool One Chillers. What are chillers? Well I wondered the same thing before I received them in the mail. Basically, Chillers go into a warm beer and cool them so you can drink them right away. Are they easy to use? Yes, All you do is pop them into the freezer for at least 45 minutes, then take them out and put them into a warm beer. Making sure, you push them all the way down against the top. Not long after you can enjoy your cold beer. 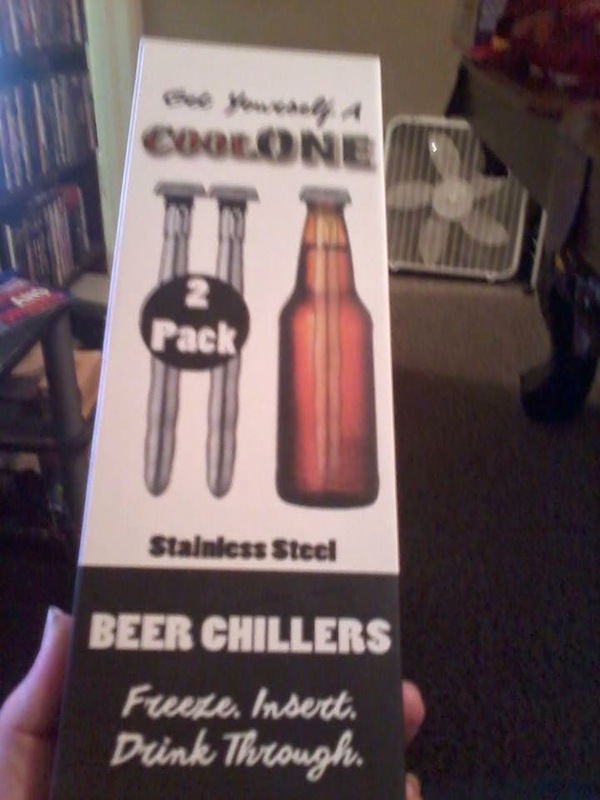 Can you drink your beer with the chiller still inside? Yes. There are holes at the top where the beer will come out into your mouth. You can also leave them in and get your beer cold, then take the chiller out and return it to the freezer so it is ready for the next warm beer. I really enjoy these chillers. When we come home from the store and we want a beer right away, we can always have a cold beer now. We end up using them one or two times while waiting for the beer to get cold in the fridge. 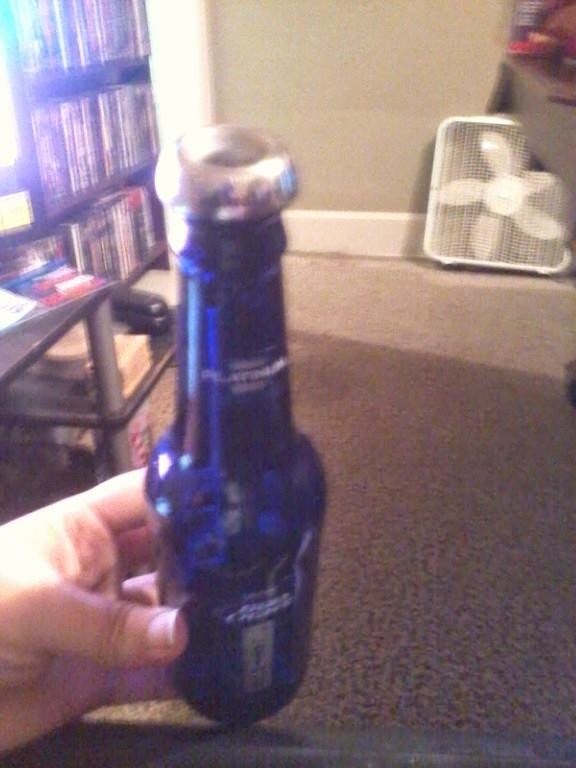 I thought it would be weird to drink through the big part on the top, but it pretty much comes out the same as a beer. As I said, after the beer gets cold, we sometimes just take out the chiller, wash it off and dry it and then stick it back into the freezer to wait for the next beer. 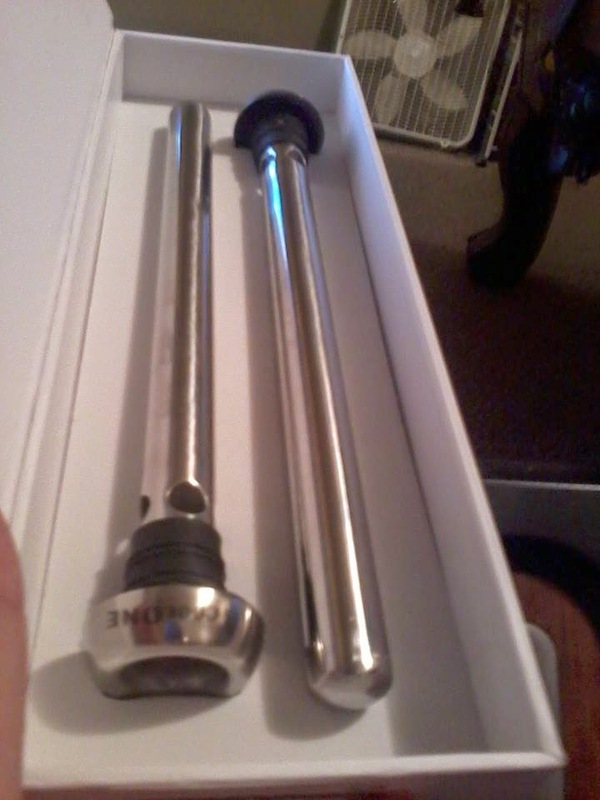 I love how easy these are to use and how well they work. They are a bit heavy, so your beer feels heavier but not too much heavier. Not like you are going to get muscles in your arms while drinking or anything. Plus these are good for not only beer, but you could use them on anything in a beer bottle shape. If you have pop in bottles or a mixed drink (margarita, Mike's Hard Lemonade etc.) you can also use these to cool them as well. Cool One is having a giveaway. Ten lucky winners will get a free Cool Ones Chiller set. It is running until December 15th, 2014. Very easy entry, just enter your email address and your name and you are all set. Head on over to http://coolonechiller.com/contest-beer-chiller/ and get entered. You will not be disappointed with this set. If you don't win, or want to check out what other people had to say about Cool One Chillers, head on over to Amazon by clicking here, and see if they are right for you. I received one or more of the products mentioned above for free using Tomoson.com. Regardless, I only recommend products or services I use personally and believe will be good for my readers. Your skin can be your best friend or your worst enemy. If you take care of your skin, then you really don't have to worry about clogged pores and acne. I seem to have more acne now then I have have in my life. 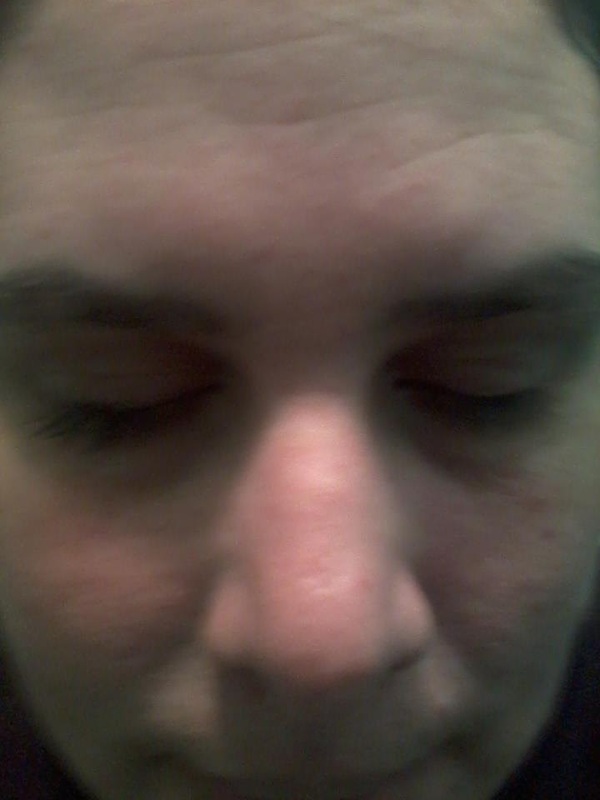 Usually it is just a zit or two here or there and then nothing for months. 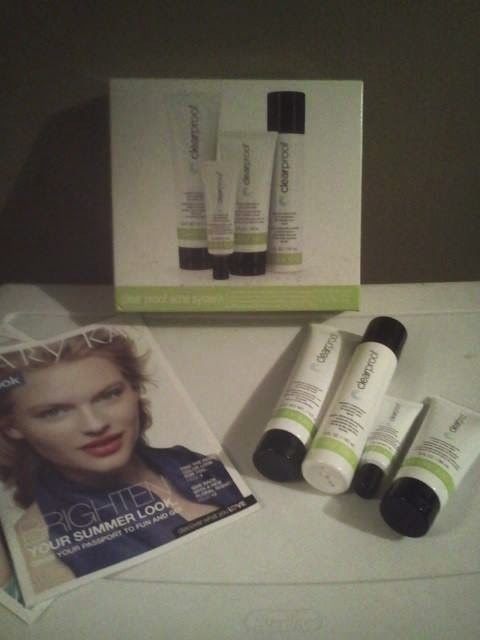 I got accepted into the Influenster program, to try our Mary Kay Clear Proof. I was so excited, because I thought that this would be the answer to my acne problems. I had heard some things, that I will get to later on in this post, but I wasn't going to let those things sway my decision in any way on whether I liked these products, and if they really work. The bottles are pretty plain but cute. I found it weird that someone needed four or five different products in a row to get rid of a few zits, but hey who was I to judge the products or the company..yet. I started out the first day with two zits. They weren't too bad, well they are all bad, but they weren't in a in your face sort of area. I used all the products just as the instructions clearly say to do. I had hoped there would be a big set of instructions of use, but the only instructions in site were the ones on the back of the bottles. So if you try this set out, make sure you read the back of the bottles before opening them up. 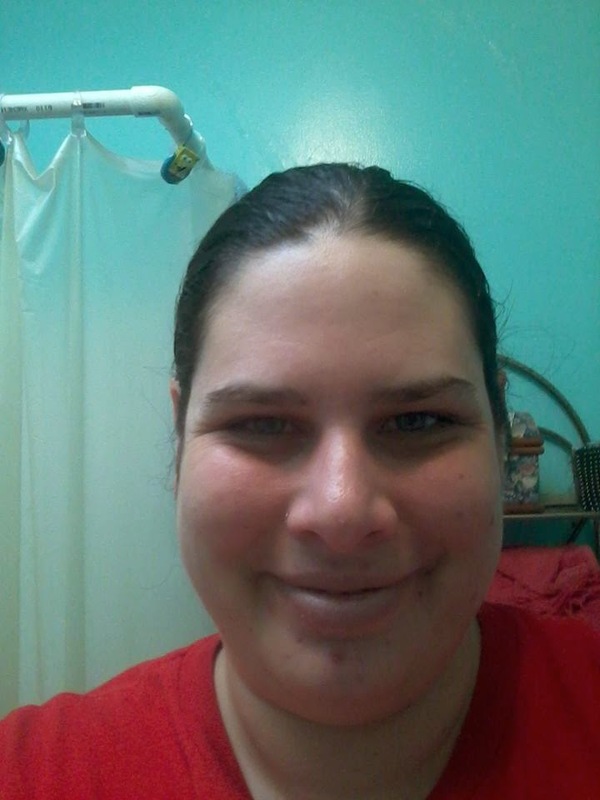 Here is my before picture. You can see that I have some acne around my mouth area. I drool at night and I think that may be what is causing this but I am not sure, also my dirty hands and my hubby's dirt hands are often close to my mouth. As you can tell, the same zits can be seen below my bottom lip and below my nose, with new acne added on. I haven't had this much acne at one time since I was a teenager, and even then I don't know that I can say it was ever this bad. I had no real change except for these products added more acne to my face. Which goes along with what I had heard before I ever tried it. I talked to and read posts of many women that said "If you don't have acne really bad, and especially if you have no acne at all, do NOT use this product line. It will cause you to have acne if you have none and your small amount of acne will get worse if you use this product line." The products smelled ok, they were easy to understand and use. But I have to admit that I would never buy these products. I am happy for the people that used them and they actually worked for them, but they did not work for me. Like I always say though, everyone has a different skin type so what works for me may not work for others and vice versa. Just make sure you check around, look at other reviews and really listen to what others are saying about this product line, good and bad. 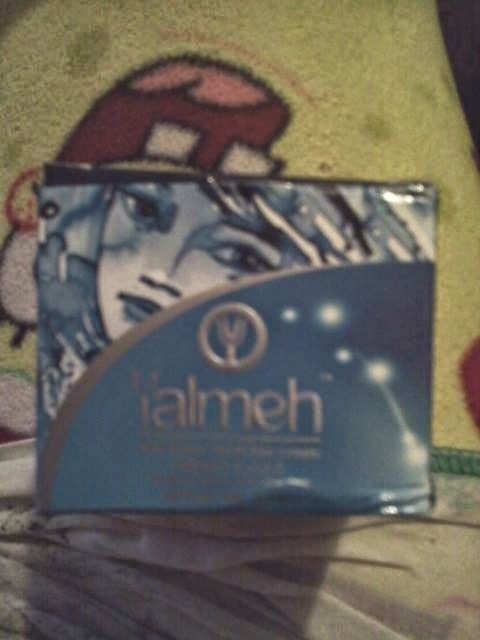 I received this product for free from Influenster in exchange for my honest opinion. I have to admit, I love being scared. Whether it is a horror movie or a good book. It's fun to live things through other people. What better way then a movie or a book? You get to come out of it still alive and the characters..well they may not be so lucky. I can't tell you which I like better, the deaths of beloved characters or the one who gets away with their life. Sometimes though, no one seems to get away from the horrors that are thrown at them. I only hope that I never have to experience, any horrors in real life. When it comes to a good horror story, they are either hit or miss. People invest in them or they don't. You never really hear someone say, well it sucked but I liked this character or that one. It is either, it sucked or it was awesome. I like Freddy Kreuger and Jason Voorhes but that doesn't mean I like all of their movies. If something is good, then I will keep watching/reading and enjoying, if a movie is bad I will continue to watch it just so I can complain but if a book/story is bad I will either skim through it or stop reading all together. Books like Scared, really seem to interest me. I don't always have time to sit down and read a whole book so I love the short stories. Sometimes they end without really having a clear ending. Cliffhangers aren't bad if you are doing a sequel or a series but with short stories, that can sometimes be frustrating. Plus you have all the information thrown at you in a short amount of time. I am always impressed by the writers that are so good, they can take a short story, add in everything we need including the fear of danger and end it in a good way in such a short amount of pages. My favorite story from Scared, has to be Family Heirloom. Just to be drawn to something in the way that this man did was just crazy. There are many things I see on tv but I have never been inclined to go and steal it. I can't help but wonder, how much of his rage was already inside him and how much he drew from the Kris. I believe every story has a hidden message in it. I believe the hidden message in this one is, No matter how much you do what someone wants, there is always a chance that they may turn their back on you. Some people stab you in the back and others do it to your face. Death comes for Maggie Mcdaniel was also a really good story. You realize half way through about her fate..way before she does. I love how even in the state that she is in, all she cares about is how her girlfriend is and if she is ok. Classic story about loving someone more then you love yourself. Even though your life didn't turn out as you planned, you are just happy that the other person gets to go on with theirs. Very well written story in my eyes and a great lesson to be learned. Not so much scary, but something that probably happens in real life all of the time. Domestic violence is definitely a problem in this world. I have to say that all the stories in Scared, touched me in one way or another. Just like in the Zombie book of short stories that was not about Zombies persay, this one is less about horror and more about learning things about yourself and the way not to live our life. Don't take things that don't belong to you, don't spy on strangers, don't put yourself into situations, that you won't be able to get out of alive...etc etc etc. With all of that said, I have to say that I really do like this book. It is refreshing to read all of the different writing styles in one book. So much better then being stuck with one writing style that you may or may not like for 500 pages. It may be a fast read, but it is worth it. If you want to check it out on Amazon and find other books like this, then head over here. I always assumed that to get full amazing eyelashes, you would have to buy the fake ones and glue them on yourselves. I never wanted to go through all of that trouble, and I was always afraid that I would glue my eyes shut. Which is why I have never tried fake eyelashes. 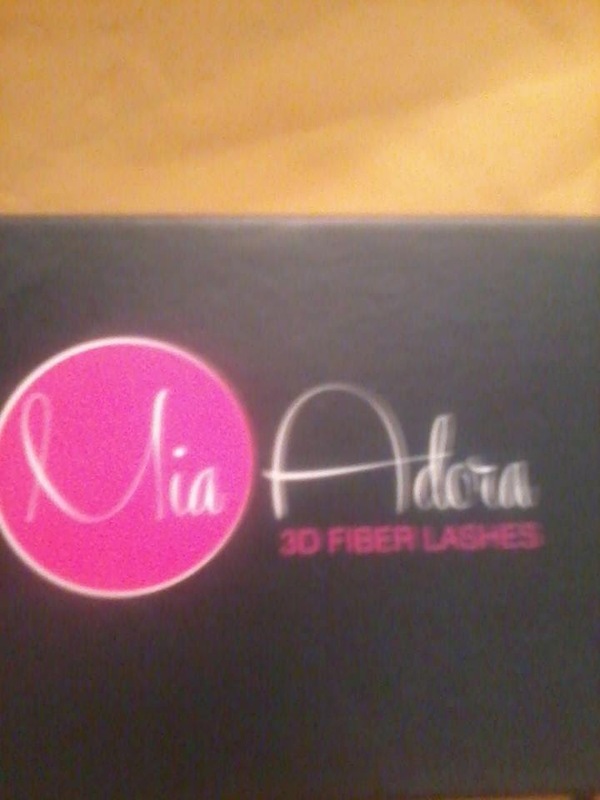 Mia Adora 3D Fiber Lash is something that I have never tried before. It is not fake eyelashes but something so much easier. It comes in two tubes that look like mascara. This product is really easy to use. You take the bigger one and do 15-20 strokes on your eyelashes. It looks just like mascara and you put it on the same way. While it is still wet, you put on the smaller tube for the same amount of strokes, again just like mascara and then you end with the bigger one again for another 15-20 strokes. One application gives you an amazing look, but you can repeat the steps and make them even more amazing. You can see how short and light my normal eyelashes are. This one is my during picture, I did the eyelashes on the left completely and nothing on the right set. 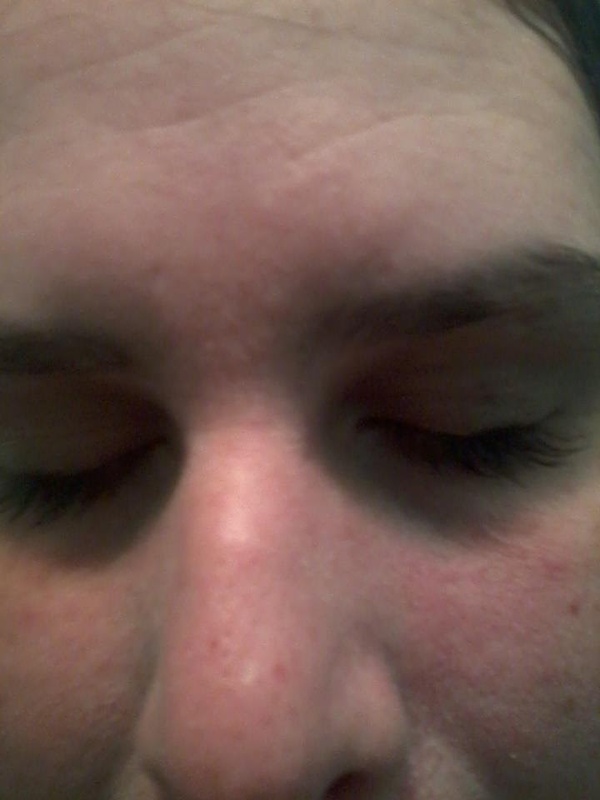 You can tell how much darker and longer the eye lashes on the left are after one full application. The final picture shows what Mia Adora 3D fiber lash looks like fully applied on both eyes. I love what my eyelashes look like right now. They are twice as long as they normally are and so much darker. Mia Adora is so easy to use even someone like me that doesn't wear make up very often can use it. This might make me want to wear make up every day, just so I can put this product on my eyelashes. 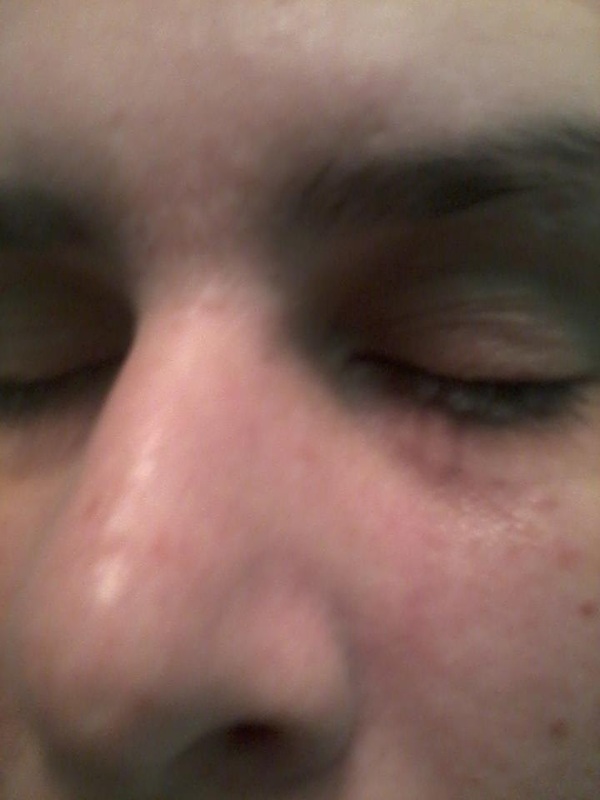 My only complaint is that it does clump a little bit, but any eyelash stuff tends to do that. I think that the fake eyelash companies would take a big hit if more people knew about this product! I highly recommend it and I will continue to use Mia Adora. To order your own Mia Adora 3D Fiber lash, head on over to Amazon, by clicking here. I got this product free in exchange for my honest opinion. Everyone knows that I love to read. I usually go with what I have heard of before but it always nice to go outside of the box and possibly find a new author and a new series to possibly fall in love with. I usually stick with my vampire books, so I went way outside of the box on this one. 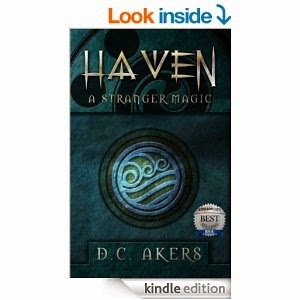 Haven is a classified as a short story series. Not the normal short stories that you are thinking of that are only a few pages and then a different author writes a story and so on, but in the literal sense, they are quite short books compared to what I am use to. So I wondered how that would work with the story. If it would hinder it, make it seemed rushed, go too fast, or even unfinished. Another thing that caught my eye in the description was that they are classified as paranormal mystery and fantasy. When I hear paranormal, I automatically think of ghosts. I love ghosts almost as much as I love vampires so I was pretty excited about reading these two books. This series started last year and there are now two books in it. When something turns into a series, you have to believe it is pretty good. Book 1 is called A Stranger Magic. The first thing I want to say about this book, is the fact that it starts out really slow and doesn't really draw you in at all. It takes many chapters to realize what is going on, but once you get to those chapters, the book is actually really exciting and it does start to draw you into it. You just want to keep reading and find out what is going to happen. Some details have an emphasis put on them and you don't really understand why until way later in the book. The main character in the book is Sam Dalcome. He is a plain kid and early in the book you start to see what he has to go through. Bullying from boys at school and even from his own sister. His sister Sarah is the typical popular girl at first, until you find out how she really feels inside and until you find out what she can do. I never do spoilers on my blog because I want everyone to read the book and find out what they think for themselves, plus I hate when things get ruined for me before I have had a chance to read them. I will say that Sam has some pretty crazy nightmares and he sees some weird things/people. I feel the relationship between him and his best friend is kind of weird, but I guess that is just me forgetting what it was like to be in high school and hanging out with my girl friends all the time. One thing that I find crazy about a lot of books and movies, is the lack of parental guidance or the lack of parents in general. Sam's dad died and Travis' (Sam's best friend) parents died when he was very young. Sam's mom works double shifts to pay the bills and doesn't really make much of an impact on the story. They are basically raising themselves because she is rarely around to provide any real guidance. Sarah found out she has a special power and it involves glass, so it would actually of been nice if mom would have been in the story more to really help her out and let her know what was happening. By the end, you are left wondering what exactly the mom and her kids are, how the father really died and who the stranger in the night really is..but at least you know why he is really there. 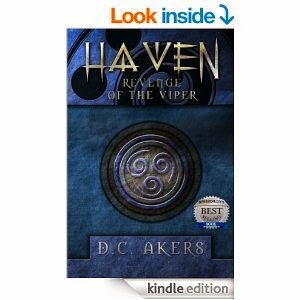 Book 2 is called Revenge of the Viper. This book is much better then the first one. D.C. Akers really got going on this one. There is a lot more action in this one and it is much more vivid in detail then the other book. Sam goes deep inside himself in this book and he comes out stronger in this one then he did in the first book. Sam finds out about his dark family secret and the fact that his mother is running for not only her life but for the life of her kids. Sarah takes a bigger part in this book as she learns more about her abilities. There are a lot more characters introduced in this book, but it is steady with developing the characters from the first book so you really get to learn more about them and who they are as a person. Sam snooped around and found things that should have never been found, by doing that he unknowingly put them in contact with the danger they had been running from. In the first book I was unhappy that the mother didn't have a bigger role in the story but that was made up for in the second book. These books are definitely for young adults/teens. Anyone who loves Twilight and Harry Potter type books, will most likely love this series. Book one starts off slow but if you stick it out, you will really get into it and the second book is even better then the first one so it is worth it to stick it out just so you can get to the second one. Like I mentioned earlier I don't do spoilers, so I know that these are vague descriptions of the two books. If you want to know what other people think of these books or find out more about the story then head over to Amazon. You can find the first book here, the second book here, and the collection can be located here. Right now, you can get the first book for free so you have the chance to find out what it is all about risk free. There are so many new toys that have come out since I was younger. They have advanced in some incredible ways, you never know what they will come out with next. Sometimes it is nice just to stick with the classics. Dinosaurs will always be classic. Kids can really show their imaginations off while playing with them. Even though I am a girl, I really got into dinosaurs after watching Jurassic Park. That movie really made them come alive to me. They became real to me and opened up a whole new world. This dinosaur is not just to play with. 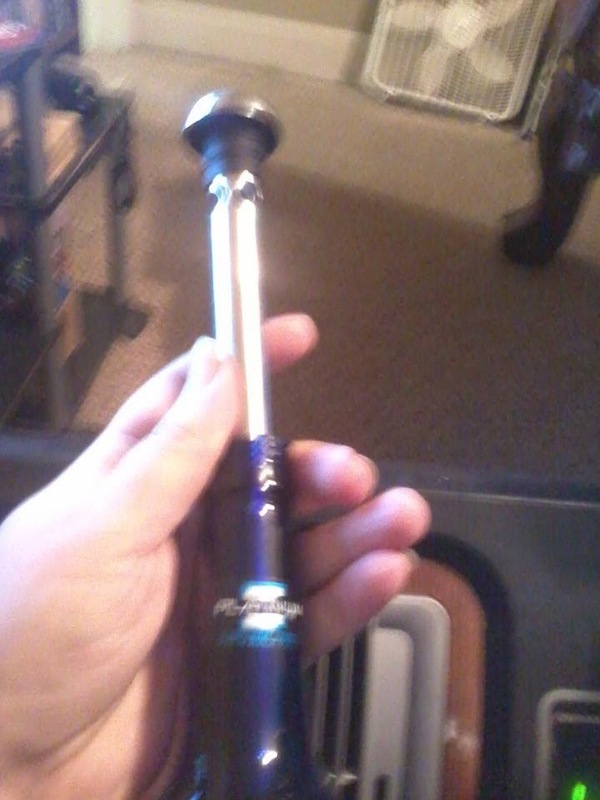 It does many different things and it is pretty awesome. I wasn't sure how big it would be, because I really didn't pay attention to the size of it when I ordered it. It came already put together which is always a great thing when you have kids. Especially kids like mine, that don't want to wait to play with something. The only thing you have to do is pop in batteries and the slide into the back of the T Rex, and it is ready to go. It is so simple to use, my kids figured it out after me showing them one time. Which as a mom it is also really nice to have toys that they can work so they aren't having to ask all the time. 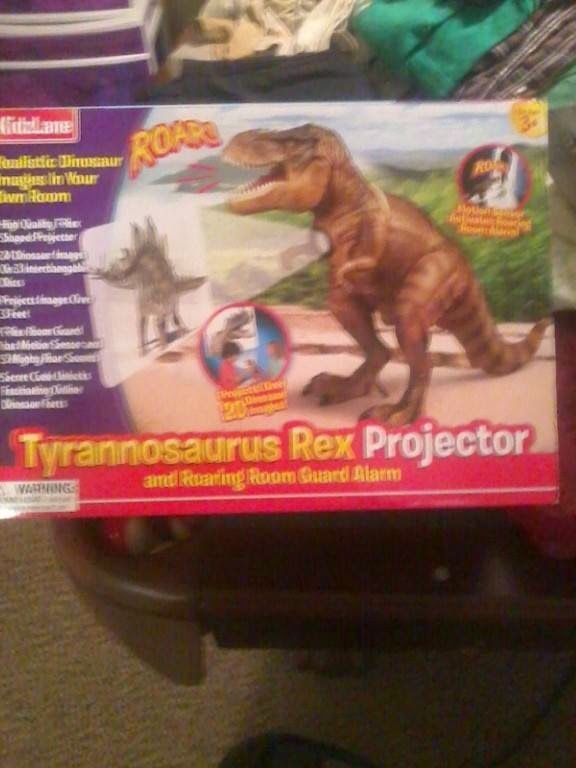 One of the things that this T Rex does, is it is a room projector. It comes with 24 different images that can be projected anywhere. Although the best place I have found to project the images, is our nice big white wall that has no pictures or anything on it. The images come out really clear and they were over 3 feet tall. So they are pretty big images and the kid's are actually learning. They wanted to get on the computer and find out about all of the different types of dinosaurs after seeing them. One thing that I think would make this part even cooler is if it was on some sort of timer. Say if your child has trouble sleeping, you could face this towards the wall and have it go through the slides for however long you set the timer for and then it could also be a night light and it wouldn't waste all of the batteries because it would shut itself off. It can also be used as a room guard. My kids think this part is so cool. They sat it by the door of my son's room and were playing like nothing was happening and I walked in to see why they weren't playing with their new toy anymore and it scared the crap out of me. 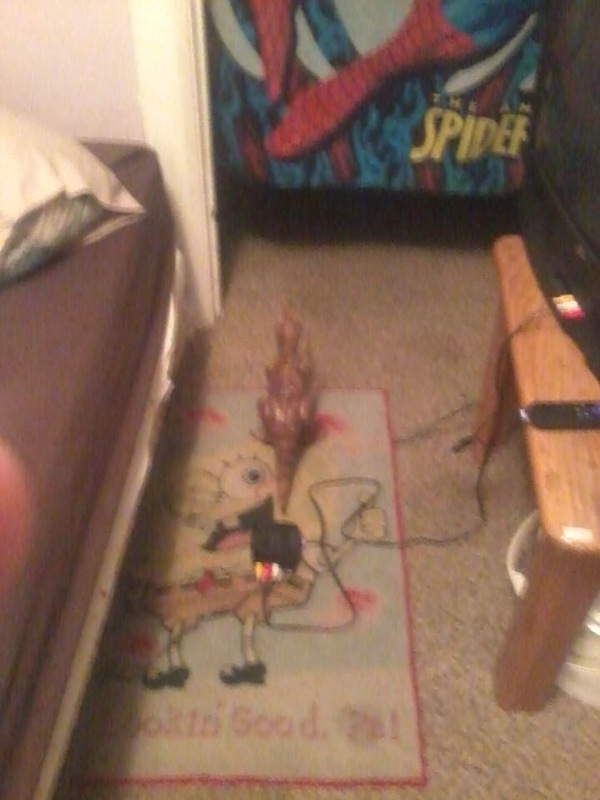 it has five different roar sounds so it scares me every time with a new sound. The sound quality, is pretty nice. I am sure it is because of the brand new batteries that were just installed in it, I am interested to see how it will sound when the batteries start to run down. Another good thing is that it isn't too loud to wake up my son. I walked in to give him his night time kiss after they had been in bed for awhile and forgot all about it and of course it scared the crap out of me again. I look over and he was still out of it. I decided to leave it on because I figured the batteries should be good since it isn't really running. It's just waiting until the next time it can scare the crap out of me. Yet another use for this product, is good old fashioned playing. The kids got out all of their toys and just went wild with all sorts of different stories. 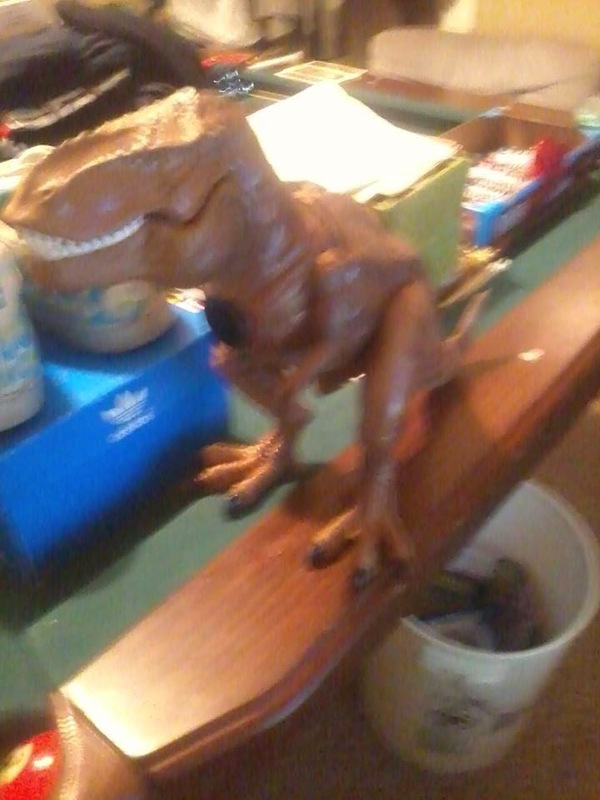 It is a lot bigger then their other dinosaurs so it was kind of awkward for their little hands. But since it really isn't for play time, that is kind of expected. I even saw them set the toys up and turn the projector on and act like the toys were watching a movie. I wish I still had their imaginations but it sure is fun to watch them play. My kids and I had a blast reviewing this T-Rex. 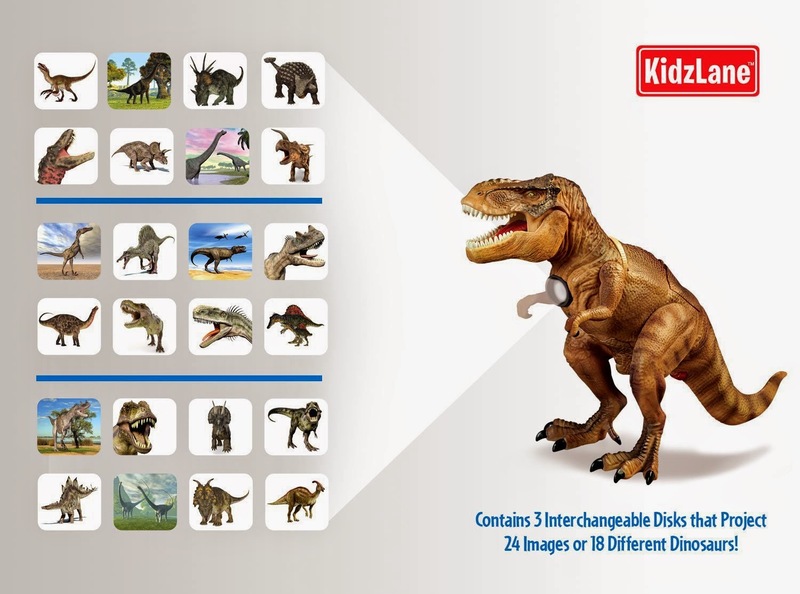 I really recommend it, not just for kids who love dinosaurs, but for all kids who have a vast imagination and want to learn more about dinosaurs. My son says it keeps his sisters out of his room when he wants to play alone, which also helps with the fights. It's for ages 3 and up but my 9, 10, and 12 year old are really enjoying it and didn't even notice the age on the box. Usually if they notice I get the same line "Mom this is a kid toy, we aren't kids anymore." 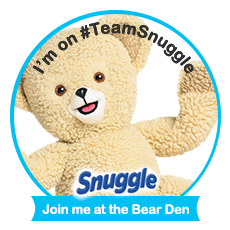 If you would like to find out more about this product or buy it for your kids head on over to Amazon by clicking here. Everything you need to know, that you didn't find out from me is on there. 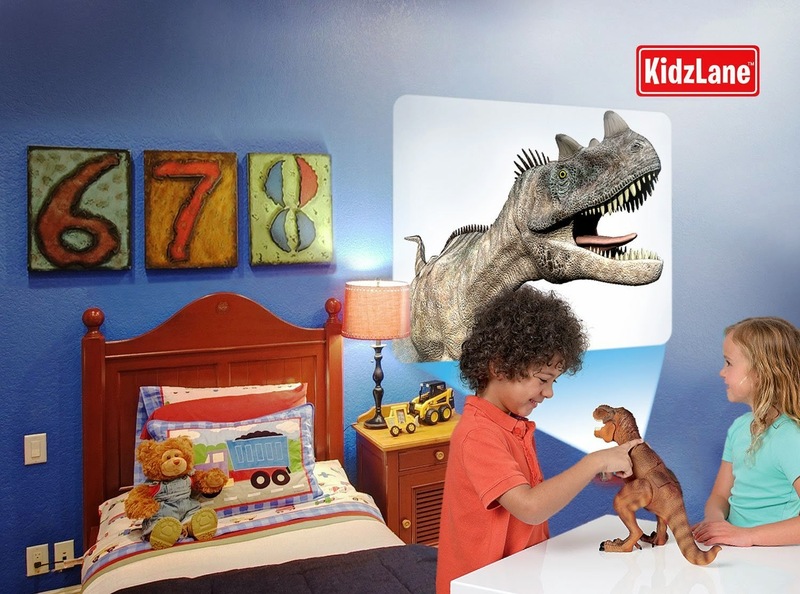 I hope to hear about the dinosaur who protects your child's room. If you have any questions or if you get one for yourself and want to talk about how awesome it is, then just comment below! When you buy candles, they are usually for a few things, either to light your home so you don't use so much electricity, for use as a decoration, or to make your home smell nice. I like to use candles so my home will smell nice and at times, I do use them to save on electricity and for decoration. 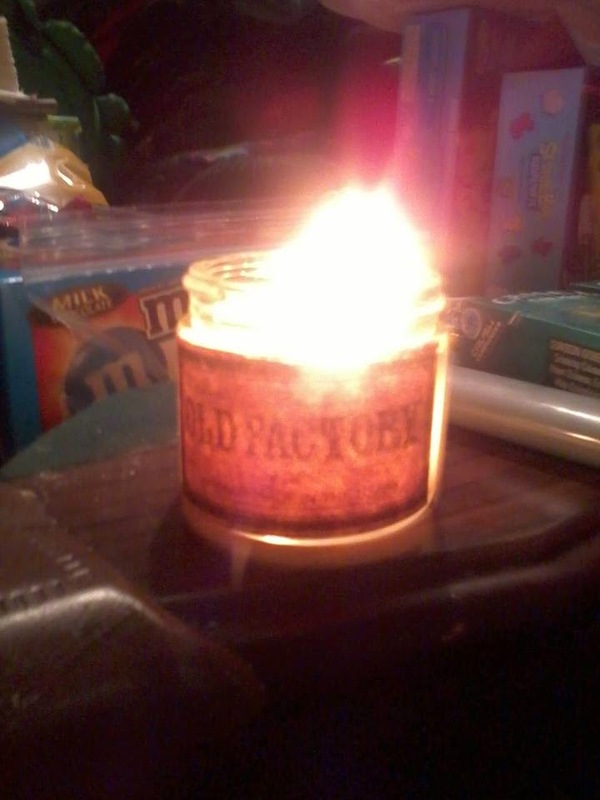 Some candles though, are purely for the smell and help with electricity and have no real decoration potential. When you buy a candle, you expect that the candle will have a smell when it is burnt and that it will burn all the way and not right down the middle and leave half the candle untouched. 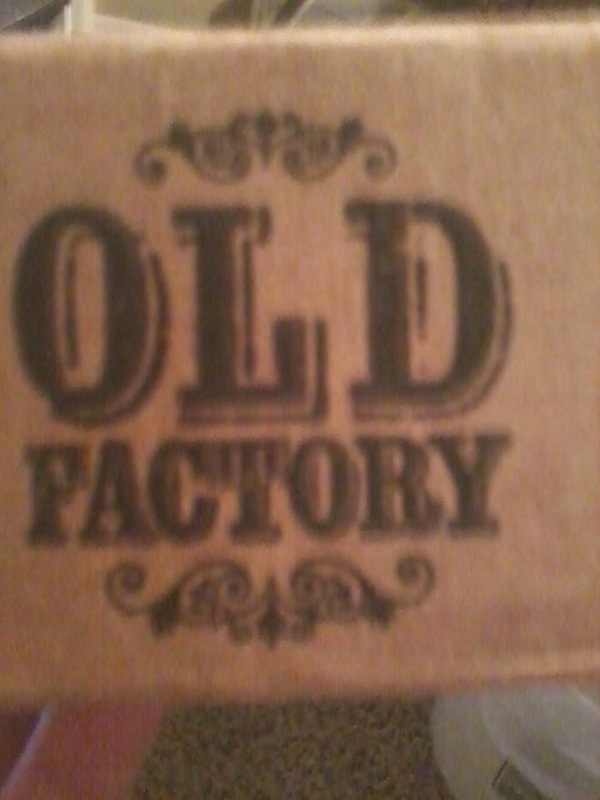 Old Factory, has many different scents that you can choose from, many are seasonal, there is one called Man Cave, and others. I believe there are 13 in all to choose from. You get three 2 ounce candles and they are three different scents. You can't pick and choose from their many different scents, you have to choose one type and get all three of them. I chose the set called High As A Kite. 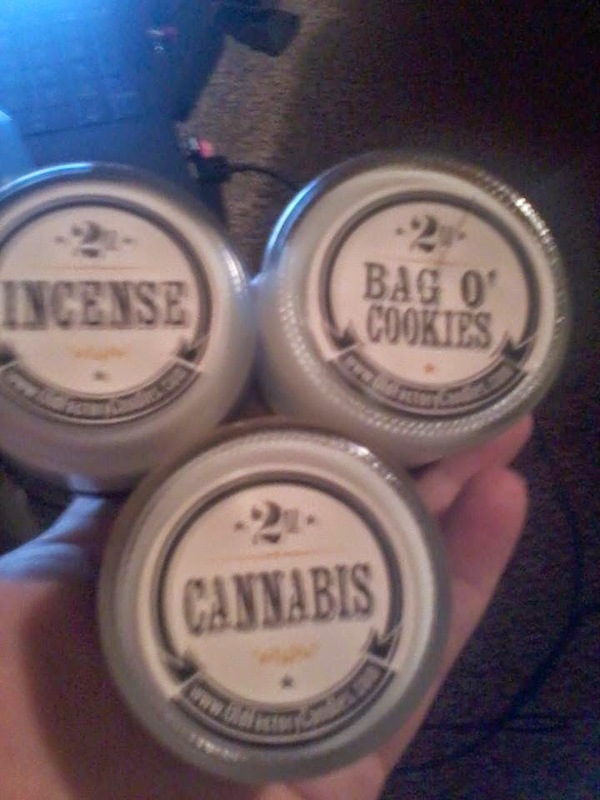 The scents that came with it are Bag O' Cookies, Incense, and Cannabis. 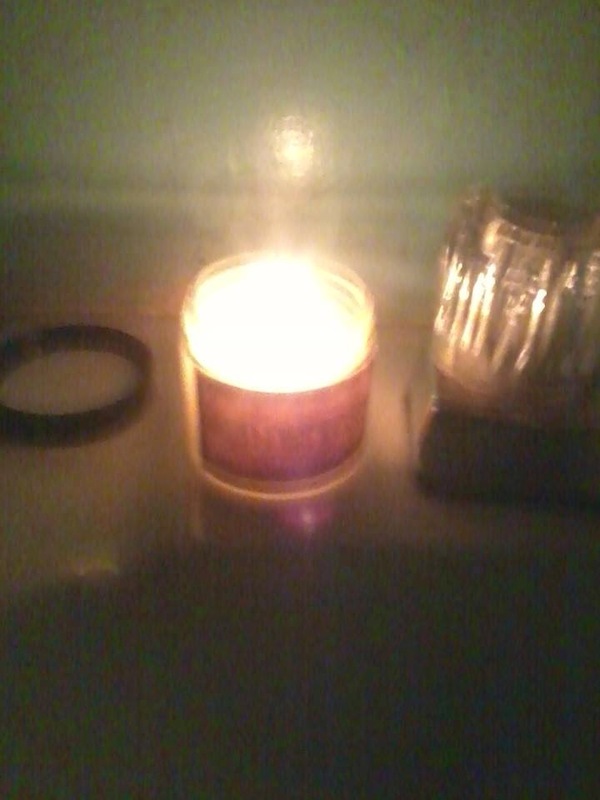 I know when i burn a candle, if they have a smell then I expect them to smell every single time I light them. Old Factory candles sadly, are not that way. I lit them for a good 6 hours a piece on the first day and night and there was no smell. Before I lit them, I could smell them and they smelled nice. After though it was like they were those tea light candles that have no smell. I talked to a few of my friends, and they said to give it a few more goes, because with soy candles, this is a common problem. I guess the wax has to melt all the way before you can really get a good smell from them. So the next day, I placed them in different rooms and lit them all for another 6 hours and even then, there was only a small smell coming from them. That was even with me leaving the apartment and leaving them lit the whole time. They weren't any better then simply spraying one of those bottles of air freshener in the air. The third day, I figured I would give them one last attempt to impress me. They burnt for 5 hours this time, until they burnt themselves out. That is a total of 17 hours and the box clearly states that they should burn for 20 hours a piece. Anyway with that aside, The last day, I could actually smell them all. It was awesome, I loved the smell of each of them. They were great, But it didn't take long before they became over powering and I had a head ache in no time. I was actually happy when the burned themselves out and were gone that night, because I had the hardest time falling asleep because I couldn't sleep because of the massive headache that the candles caused. There are a few pros to these candles, they burn evenly and very well. They light up a dark room on there own even though they are small. They also come in a cute old school design. So if you were to buy these and didn't want to light them, then I suppose you could just sit them around as decoration in a room somewhere. If you have a big room or a big area, then you probably wouldn't get the headache from them. I live in an apartment so we are enclosed in smaller spaces then a house would be. Bottom line is, if you are going to use these as a decoration then they would be fine. If you want to light them and have a house or large open area, then you should be ok and not get the headache associated with the third day. 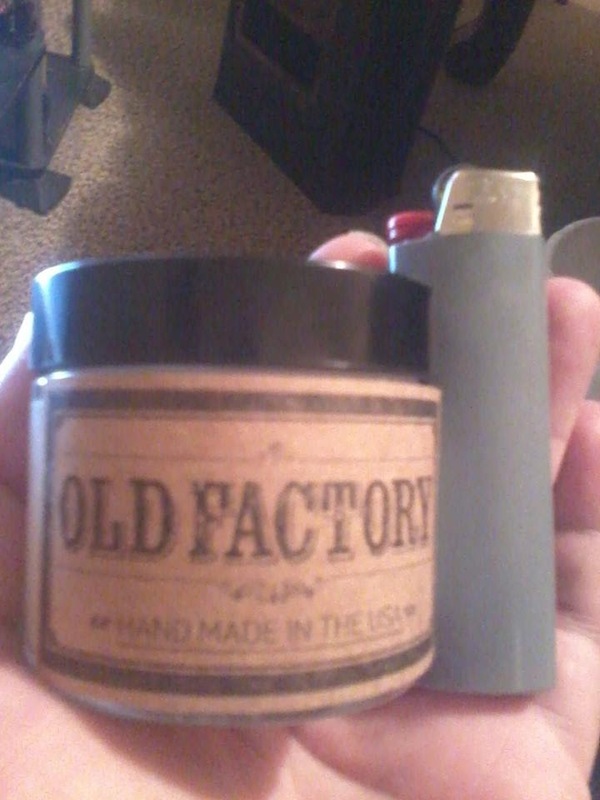 If you want them to light and be perfect and smell amazing the first time you use them, these probably aren't for you. They do smell good, but it was just too much for me. The price is also a bit steep $25 for three 2 ounce candles. You can get a huge candle for the same price or cheaper that will last 3 to 5 years and smell as it should every single time. As always, don't just take my word for it, check them out on Amazon and find out what other people have to say about these candles by clicking here. The reviews are mixed, I am not sure if it because they are all people who got a free product in exchange for a review like I have or if the other scents actually do smell better and work better then the one's that I got. 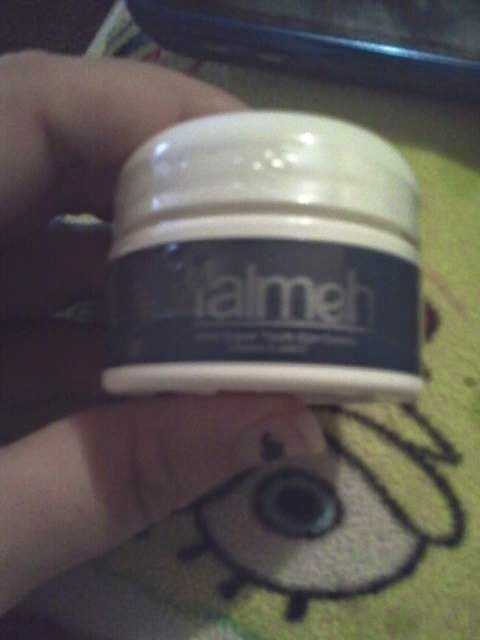 I got to try out Yalemah Super Youth Eye Cream. I had a mixed reaction to this product but it did work for a few things that it said it would so I can't knock it. :) If you want to see my full review, check it out here. You can also find out more about it by checking it out on Amazon by clicking here.Enter below for your chance to try it out for yourself and see what you think about it. Good luck everyone! Thank you for entering. Some products work for everything they claim to work for and some only work for a few of their claims. I have found with this product, that it does do a few of the things claimed. It won't work miracles but nothing can. Expectations are placed way too high on products such as this. Nothing is going to work for everything. I found with this product that a little bit goes a long way. As long as you don't use too much, you won't have the scaly flaky problems when it dries. It is a great way to moisturize your whole face, it even helps with the puffiness and dark circles underneath your eyes.I don't have many wrinkles so I can't really say how it works for that. It is easy to play and can be used day and night. Clear instructions, but the are pretty small and hard to read. Essentially you wash and dry your face and then dab it on the areas that you need it and then gently rub it in. I would suggest using only a little bit at first so you can see how it will react on your skin. Some people report a burning sensation while it is on and others say it made them break out. It didn't do either of these things to me so I can't speak of those issues, but everyone's skin is different. I really like this and it did work somewhat for me. Like I said it was a great moisturizer and it did help with the puffiness of my skin. 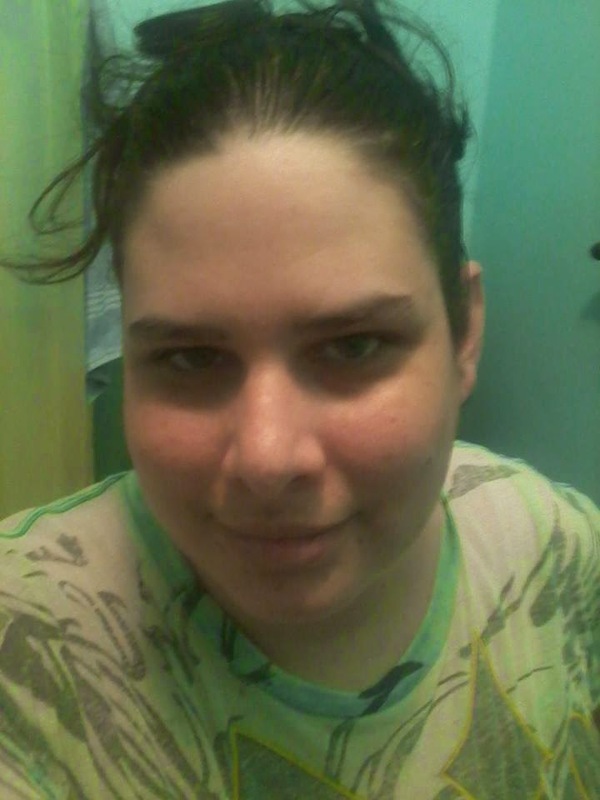 Not too much for the dark circles, but like I said, it helped with most of the things it claimed to do. As always, it comes with a 90 day guarantee, if it doesn't work for you, broke you out, or you just didn't like it, after 90 days of using it you can contact them and get your money back. Nothing to ship back to them and no questions asked. Head on over to Amazon to find out more about this, order it, or see the long list of very mixed reviews by clicking here. 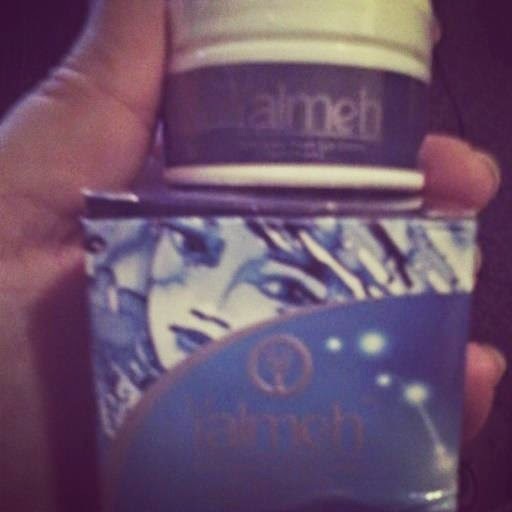 I have been trying out Yalemah Eye Bright Gel for a month now and I am loving the results I have seen so far. Now it is time for my giveaway. If you want to hear more about the product you can check out my review of it here. If you just want to enter to win then you have come to the right place! To me, the eyes are often the most beautiful part of the body and the part I notice and see first on someone. It's always a good thing to play up your eyes and have them looking bright and beautiful. The last thing you want are dark circles or wrinkles around them. Although, crows feet are an indicator, to how happy you (they come from smiling a lot I believe) they don't have to be there forever. You should never be ashamed of how you look or how many wrinkles you have though. We are all beautiful. 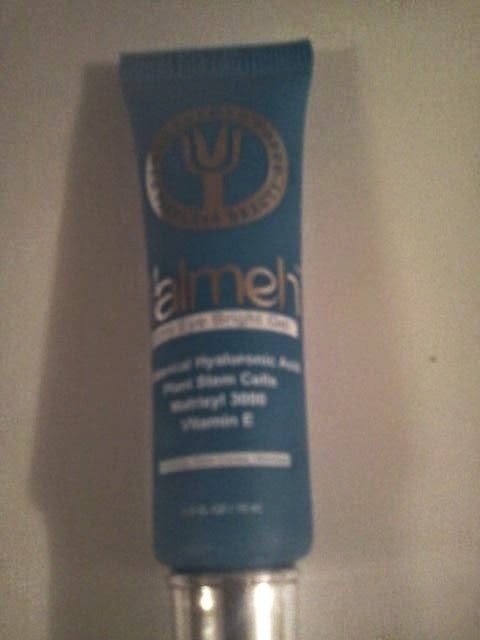 Yalemah eye bright gel, comes in a cute blue container. I am in love with the color of it. The bottom twists off pretty easily though so as with all make up keep out of reach of children and pets. The directions on the container are really tiny and you need a magnifying glass just to see how to use the product. Basically you wash and dry your face, dab it gently around your eyes and anywhere else on your face that needs improvement and then rub it in. Irritation can become a problem if you over use the product so they say it is best to just dab a little bit around your eyes at first to make sure that your skin can handle it. Be careful not to get this product in your eyes. I usually put this on in the morning but it can be used morning or night and you can also safely put it on and then apply your make up over the top of it. 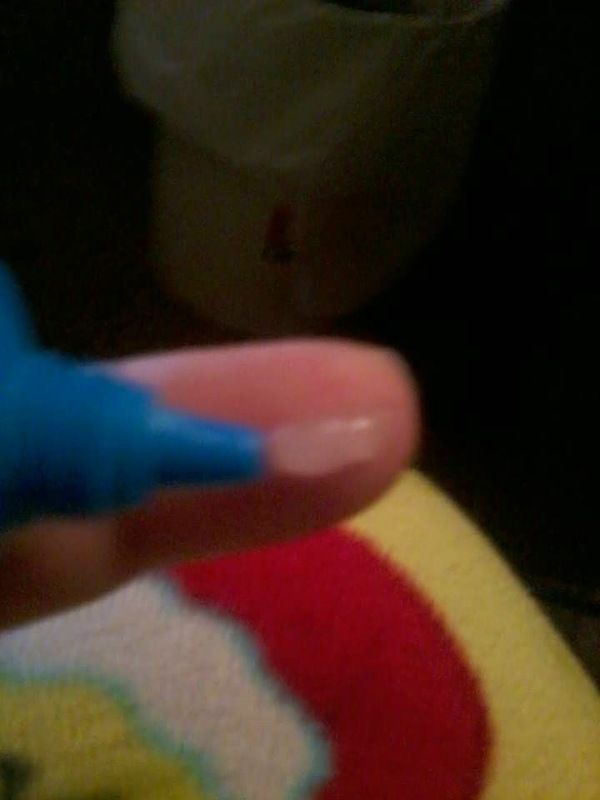 A little bit goes a long way with this product so be sure not to take too much out onto your finger. It blends in really well and once blended, you won't even be able to tell you have anything on. One of the great things about it is the fact that it has safe, all natural ingredients so you don't have to worry about harsh chemicals or cancer causing ingredients when you use this product and it even comes with a 90 day guarantee as well. You just try it out for the full 90 days, if you don't see an improvement or you aren't happy with the product you just contact them and they will return your money. You don't have to ship anything back to them and it is no questions asked. So it is really a win win. If it doesn't work you get your money back and if it does work you won't have any more under eye circles. 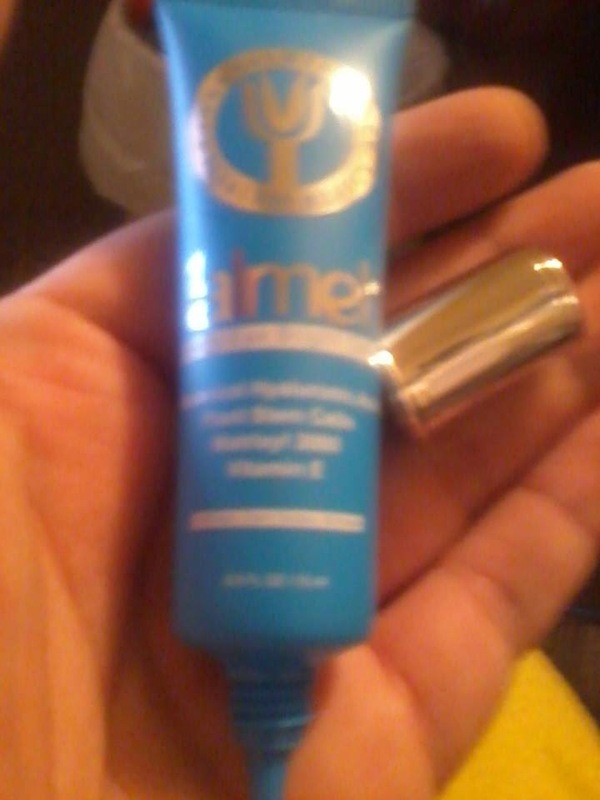 I have been using this for about a month now and I am happy to say that my under eye circles have faded remarkably. Not all the way gone but enough to where they aren't as noticeable anymore, which I love! If you want to find out more about this product, such as price, more details and what others think of it etc, click here to see it on Amazon. As I get older my memory is starting to get worse. I also have Fibromyalgia which gives me fibro fog and affects my ability to concentrate and remember things very well. One of my grandmother's died in 2007 from Dementia. It was so hard to see her go through everything and go from who she was to who she turned into when she died. My father died of cancer in 2013. In the years before he died, his memory had started to fade. He would forget things, forget where he placed things around the house, forget to do things and how to do them etc. When he died, there was a tumor on his brain so I believe that affected his memory as well as the fact that his mom died from dementia. My other grandma has really gone down hill in the past few years. She has started to forget a whole lot of things. The other day she told my mom (her daughter) that she has a new husband and told her his name is Kenneth. That is my grandpa, They have been married for over 50 years now. Watching someone's memories fade away is heart breaking. I really wanted to try and find a way, to preserve my memory for as long as possible. It seems like I am being hit on both sides with this disease and I am backed into a corner and not sure what to do about it. I have searched different options before but I wasn't sure how any of them would affect me and if they would really work or not. I wasn't going to take the chance of spending my money on useless products that would have no effect on me. 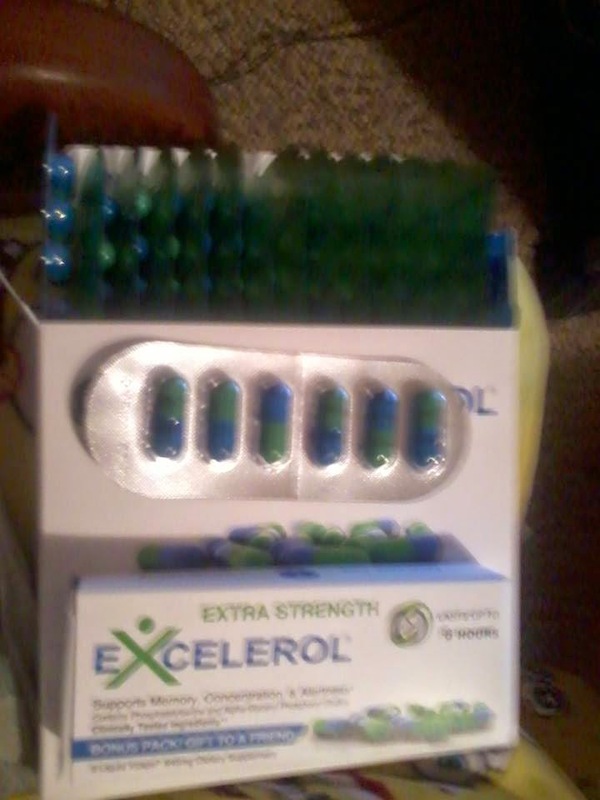 Excelrol came in a lovely package and very quickly through Amazon. You get three months worth at a time for a pretty good price. 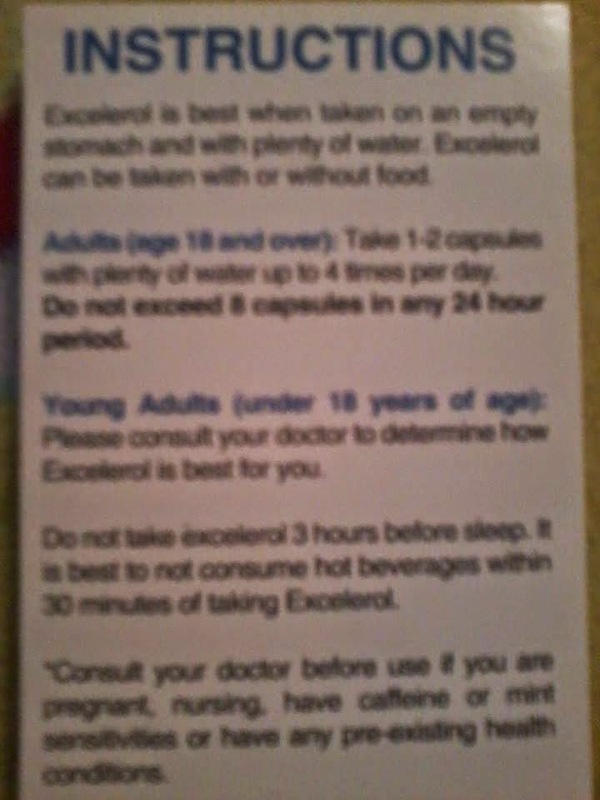 The pills aren't too big, they are manageable to get down as well, The directions say to take 1-2 up to times a day. I wanted this to last as long as possible, so I took one a day with a big glass of water. I didn't have to worry about taking more then the 8 allowed in one day but make sure if you take more then once a day, you don't take more then the 8 allowed. Not sure what it would do to you, would probably make you sick just like all other pills, you could probably over dose on them. Just don't take these close to bedtime, always leave at least 3 hours in between taking them and going to sleep. 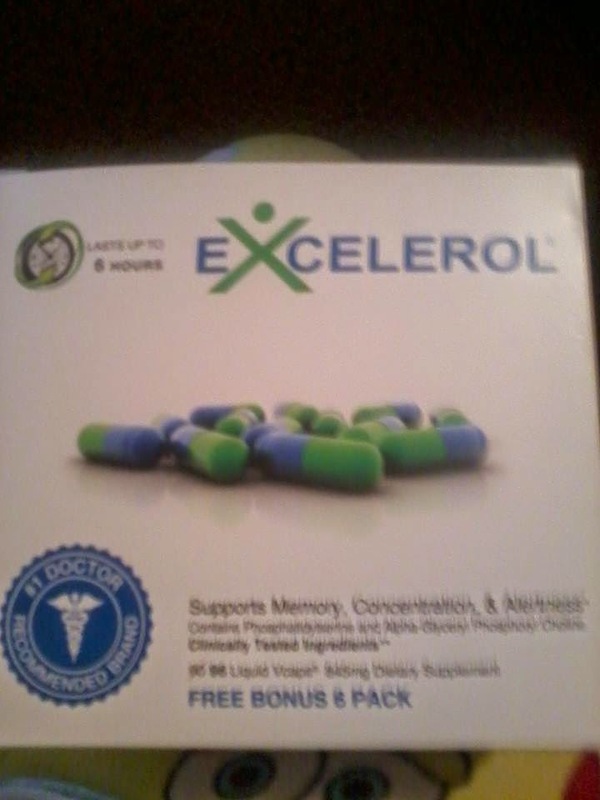 Taking them once a day for a month, I have noticed a slight improvement in my memory and concentration. I haven't noticed any side effects to my body or any changes to my sleep. I am sure if I had taken them more then once a day, I would see a great improvement, but I really wanted to spread these out over the three months. I would rather have a slight improvement over a few months then a great improvement over one month. 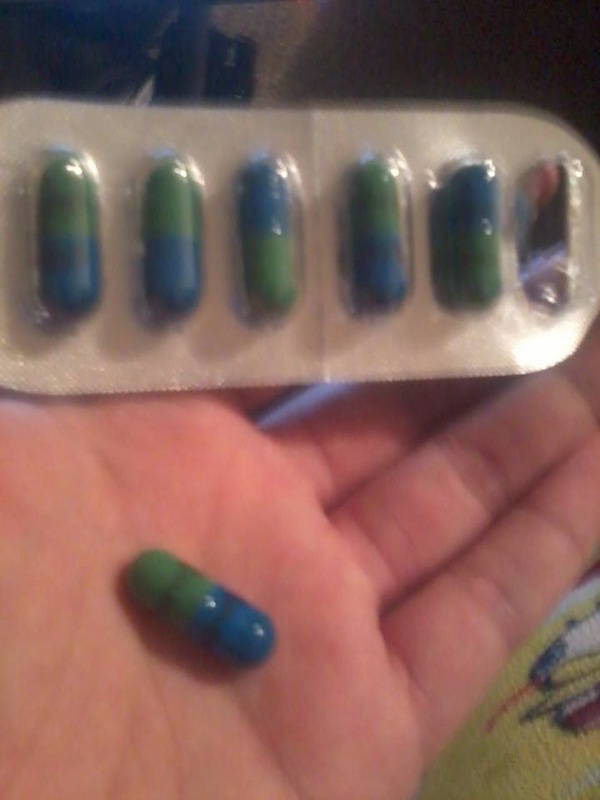 I am not sure if the memory improvement would fade after taking the last of the pills as I haven't taken them all yet. I am hoping though that it is an improvement that will stick around and not something that is simply chemically induced. I had a good experience taking these. You can check out their website, for more information, by clicking here. If you want to find out what more people think of just this product and pricing and such you can see that all on the Amazon page by clicking here. 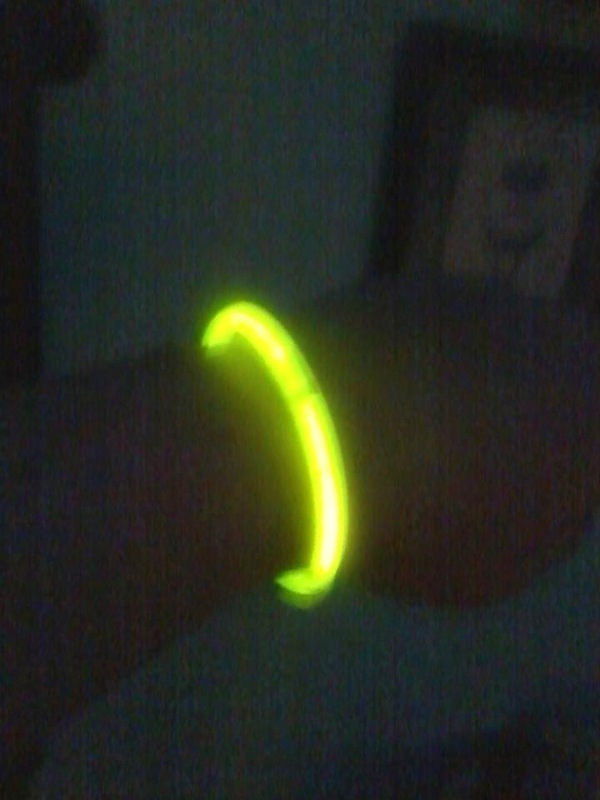 Glow sticks can be used for all sorts of things. Fashion, a party, safety etc. My kid's use glow sticks for events like Halloween when they will be walking around in the dark and cars may not be able to see them. We also use them if have bike rides at night or if we take a night walk. You can see them from quite a distance and are perfect for their little wrists as bracelets and necks as necklaces. 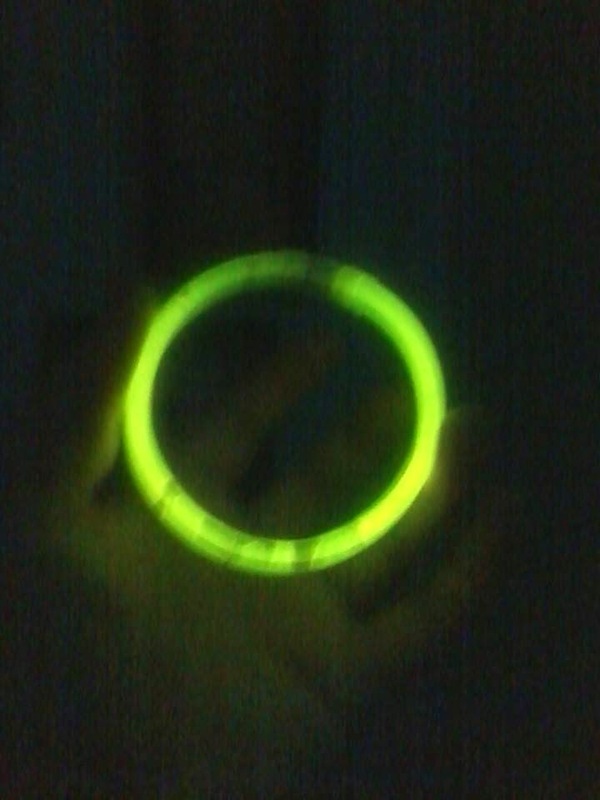 These glow sticks glow for a pretty long time. They have some really pretty colors when they are "activated" and are easily activated on purpose. I had a few that got bent and activated themselves before I wanted them too. I just used those to light up rooms in my home so I wouldn't have to turn on lights and use electricity. I managed to not break any of these open which I was surprised. 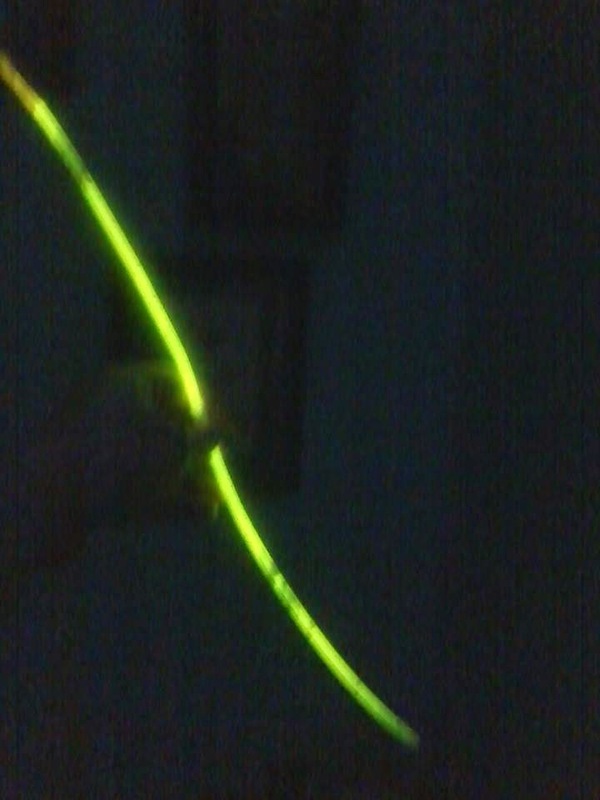 Usually glow sticks bust open when you bend them too much to activate them, but I didn't have any problem with these. I usually walk away with my hands glowing even after I wash it all off. Which is cool but not good for you at all. If you want to buy yourself some glow sticks that are long lasting, bright, and fun, head on over to Amazon and click here. I really love these and they are a very good price and work really well. You get 100 for $9 + shipping. It also includes 100 of the connectors so you can make anything your heart desires, bracelets, necklaces, glasses, you can form words with them etc. How cool would it be for someone to spell out "Will You Marry Me" in glow sticks and take a pic and send it to you or take you to the room they are located and then turn out the lights so you can see the message! 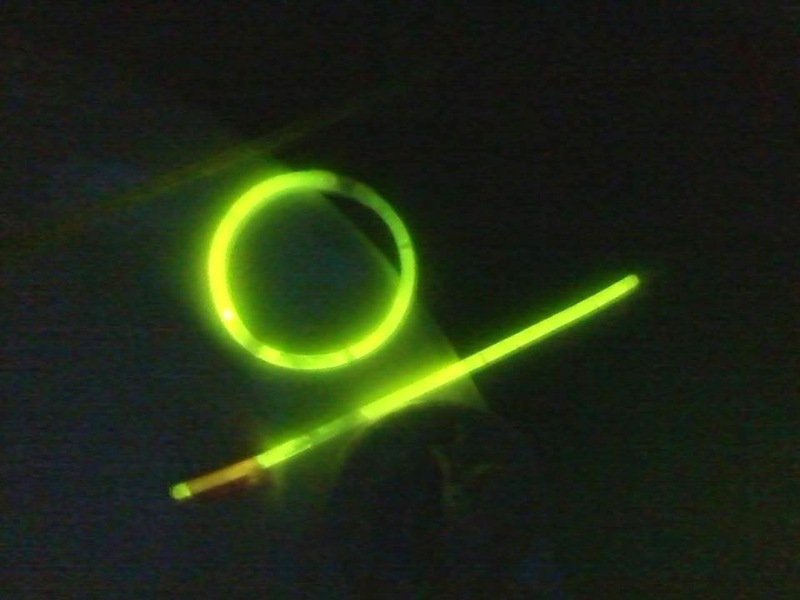 I use these and I love them and I really recommend them, if you are in the market for glow sticks! There may be a few in the bunch that don't glow (had that problem with a few of them) but for the money I can't complain about a few duds. You can't find glow sticks of this quality anywhere else!